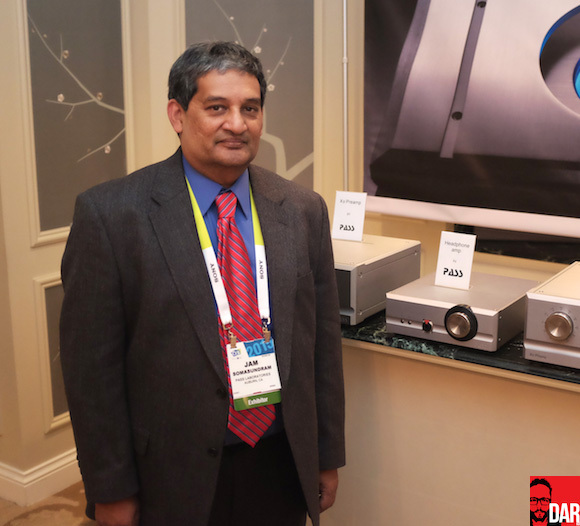 From Berlin contributor John Darko's CES 2015 report. "The problem with headphone amp design is that you face a conflicting set of requirements. Headphone impedances run from from 15-600Ω which is a huge range. To get around that issue, I had to use relatively high supply rails and provide for a fair amount of current. The basic design follows a small power amp but was also designed to meet the requirements of a preamp. I got around the noise issue by using a CRC filter before the main regulator which is discrete; as well as local supply decoupling for each channel. The primary headphones I used were the Audeze LCD-X but I also got to use the Sennheiser HD-650, the Abyss, the AKG K701 and several Audio Technica including their Art Series. "As with all our products, I kept the signal-path circuit as simple as possible. The harder part was the support circuitry. I tried different devices including bipolars and in the final analysis we chose Toshiba Jfets for the input stage, Fairchild Mosfets for the outputs and bipolars in the current mirrors so we ended up using all three device types. One of the keys to voicing this amplifier—which is a low feedback design—was balancing the amount of feedback with the open loop gain to obtain the best sonic balance. We use in excess of 40'000µF of capacitance in a CRC configuration followed by a discrete low-noise regulator. "The HPA-1 started on a blank sheet, with the conflicting design requirements as the main issue I had to overcome. The topology is different from most our products but the funny thing was that initially I practically used no test equipment except for a multi-meter and scope. The design was essentially done by ear before a distortion and noise analysis was performed. Only after we had it sounding the way we wanted did we do a complete set of tests and in this case the measured results were quite good. I find it a danger to pursue better numbers for measurement's sake. Your ears must be the final arbiter because if distortion were the sole criteria of good amplifier design, Yamaha and Pioneer receivers would rule the day. Different circuit topologies and components were tried until we got the correct balance. Circuit design in my estimation is far more important than parts selection. Parts should only be used to refine a design not define it. Sometimes premium parts can hurt a design. Balance is the key. 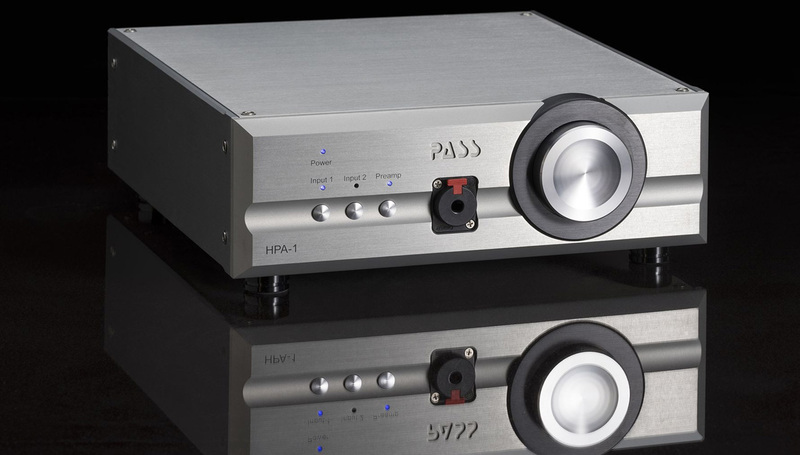 "One of our main goals was that the HPA-1 should perform as a top-notch preamp as well, which is usually not the case. The first thing I had to do was design a custom power transformer. I went through seven prototypes before I settled on one that met our criteria. The transformer incorporates a Faraday shield as well as a Mu-metal band for low noise. The unit is controlled by a custom-programmed processor. The unit mutes itself for 20 seconds before turning on (the LED flashes during the mute state), then the LED stops flashing and stays on. In the event of power interruption, the unit will go through the mute cycle on resumption of power (to avoid any thump or clicks), then return to the settings in place before the loss of power. 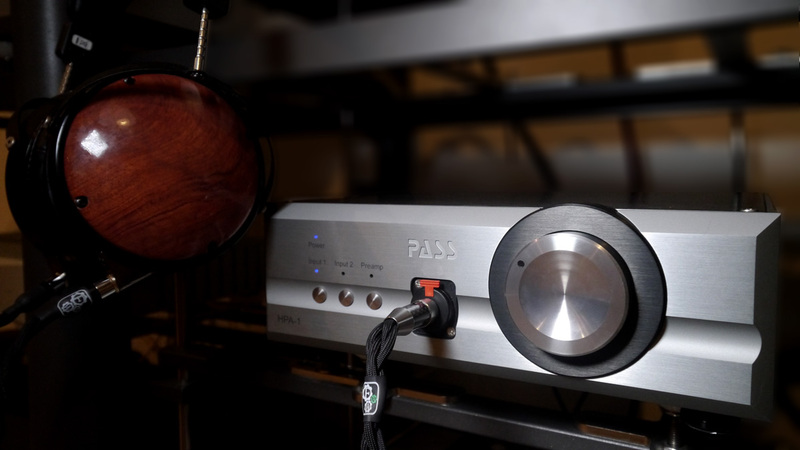 We refused to incorporate a DAC because that leads to obsolescence with today's ever-changing digital technology. "With regard to the design criteria, the most important thing was the ability to drive almost any dynamic headphone without loss of fidelity. As for audible qualities I went after first were separation and staging as being primary before things like tonality and low-level detail. Otherwise one puts the cart before the horse. Then voicing followed which is where color, saturation and such fall into place. The power supply is half of the audio circuit and I find that it usually is not considered with the same importance. This can hamper a good design or topology. Nothing should be considered sacred such as for example sticking with no feedback because you might paint yourself into a corner. I found that this design required some feedback to get the most out of our topology. "We chose single-ended operation because it addresses about 90% of the market. I am sure that we will address the balanced minority at some point. We try and design the best product for the price but refuse to make any compromises that would affect the final product. I would urge you to try the HPA-1 as a preamp even with a tube amplifier. By the very nature of its design, it will drive long runs of cable. As you stated, the voltage gain occurs in the Jfet/mirror stage and the Mosfets provide the current drive. The S/N ratio is about 95dB. Finally, audio has always been a hobby of mine and I began building amplifiers in high school. I completed most of my education in England where I also worked in a hifi store to get exposed to high-end audio. When I got to America, I worked in retail and did consulting work for several audio companies. I also worked for a service company that repaired audio and video components. Before working for Pass, I worked as director of design for Cary Audio Design for three years. "I have know Nelson for about thirty years now. When I went to college, I built the Pass A-40 and called Threshold for some advice to be surprised when Nelson answered the phone. We have been friends ever since. I took this amp to our local high-end store where it promptly destroyed all the other amps there. This got me thinking that this guy had to know something these other designers didn't. Nelson is one of my gurus, with the others being John Curl and Stan Warren. The thing that Nelson taught me is to think outside the box. If you look at his body of work, you will know what I am talking about. He is never stagnant and always pushes the envelope. He has set the bar pretty high."